No matter where you're planning to hold your hen party, get creative with professionally trained florist Eva, who is ready to come to you. For those creative brides who are looking for a unique hen do experience. 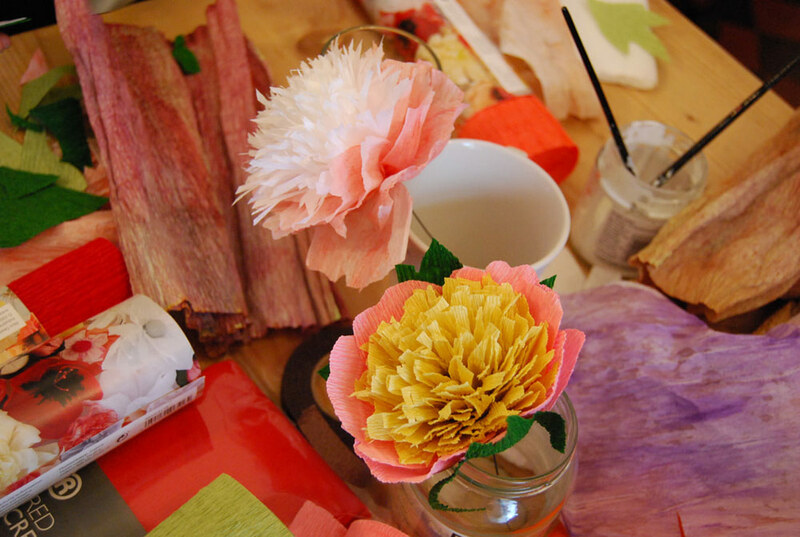 Whether you're a total novice or a flower crafting aficionado, Eva can tailor the workshop to fit your level of skill, providing all of the materials and tools you could possibly need. After training as a florist and working in various flower shops over the years, Eva decided to go against the grain to focus on environmentally friendly sourced flowers. 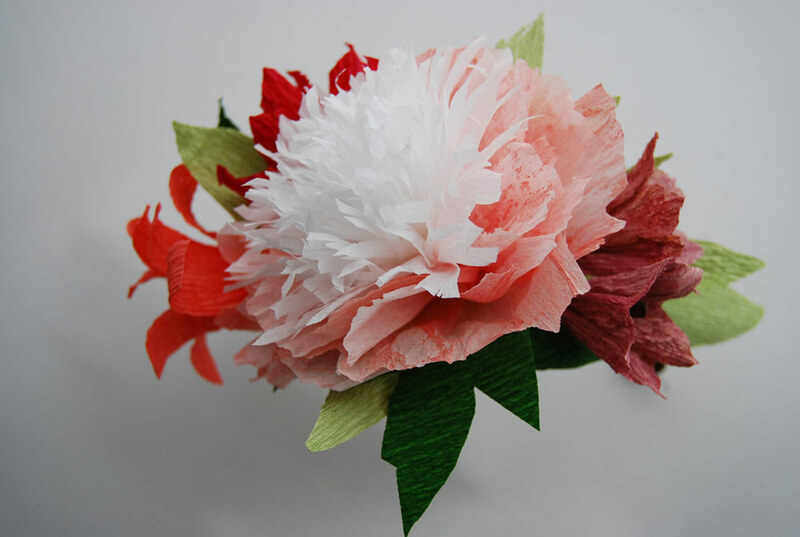 Her artistic skills are worthy of merit as her paper flower creations truly are a beautiful work of art. It turns out the best flowers are made by hand from biodegradable materials. Eva's even looking for biodegradable glue so that when you're through wearing your pretty petals, you can throw them straight on the compost heap. 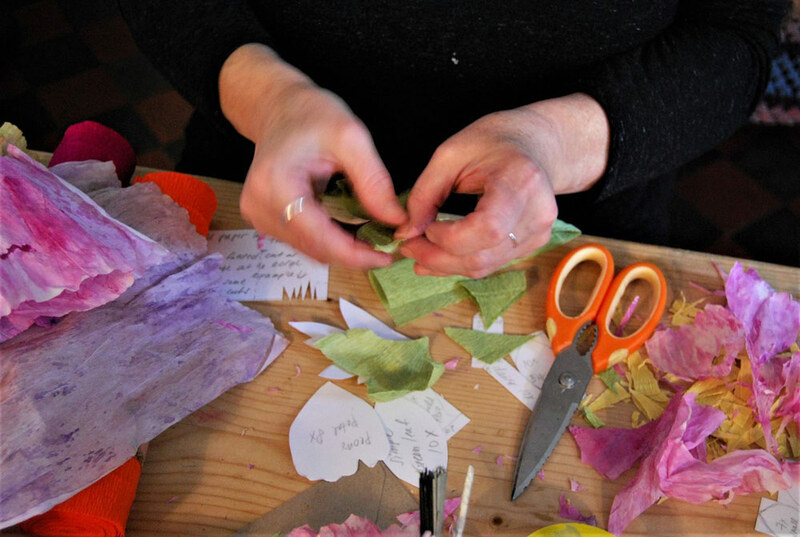 The Flower Hive has creative workshops for your hen do or they can create beautiful paper bouquets for your wedding day. 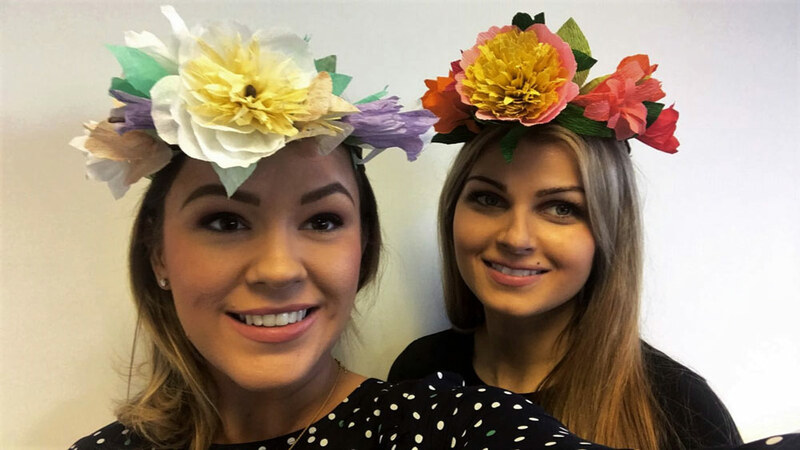 You could even combine the two and make the flower crowns for your brides and bridesmaids for the wedding day! Handcrafted flowers truly give your wedding an artisan twist, capturing the delicacy of fresh flowers with the added benefit of being able to keep them for years to come. Perfect for the bohemian and festival bride. The sky really is the limit when it comes to creating your own flower crown. You can choose the colours, shapes, styles and sizes that work best for you. Eva provides all the tools and materials, so all you need to worry about is the crafting itself. Whether you desire a vibrant fuschia flower crown or a beautiful pastel creation with soft hues, your creativity knows no bounds. There are four different flower designs to choose from, plus once you have finished creating you can keep the pattern so you can replicate this on any rainy afternoon. Welsh Daffodil - brighten up your hen do with these vibrant yellow flowers, perfect for if you are having a spring wedding or hosting it in Wales! Campanula Medium - These stunning bell shaped flowers look almost too delicate to touch. Sweet Peas - These twisting dainty creations are modelled a traditional British flower of the White Ensign and Charlie's Angel variety. Peony - A plush summery flower that are a romantic and classic choice for weddings. You can recreate these beautiful flowers in a vintage tea cup! The Flower Hive can come straight to you for just £30 per person. Simply contact Eva with the date and time you had in mind for your hen do. There's a minimum of ten Hens per session, therefore you can invite all of your bridal party and family members, as this is the perfect hen do for all ages! Whether you are an eco-conscious bride or looking for a family friendly crafty hen do, then make sure you consider The Flower Hive! For more information about Eva's amazing flower crowns, click the contact buttons. Let others know what you think of The Flower Hive by giving a star rating and a small review.